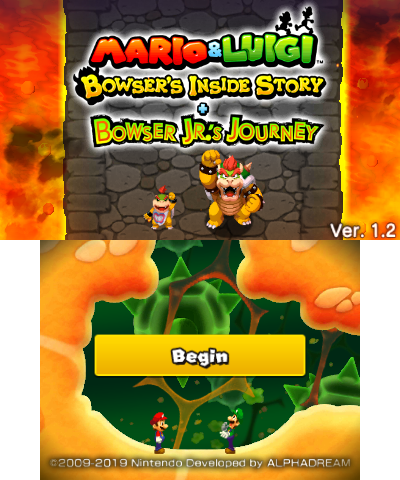 Mario & Luigi: Bowser's Inside Story gets a remake on the 3DS. Even if a 3DS remake of a DS game may not be the most needed thing in the world, it's still enjoyable. Changes in the v1.1 and v1.2 updates. Tracks 56, 57, 58, and 59 aren't present in the final game even though tracks 60 and 61 are present. This page was last modified on 11 April 2019, at 05:56.